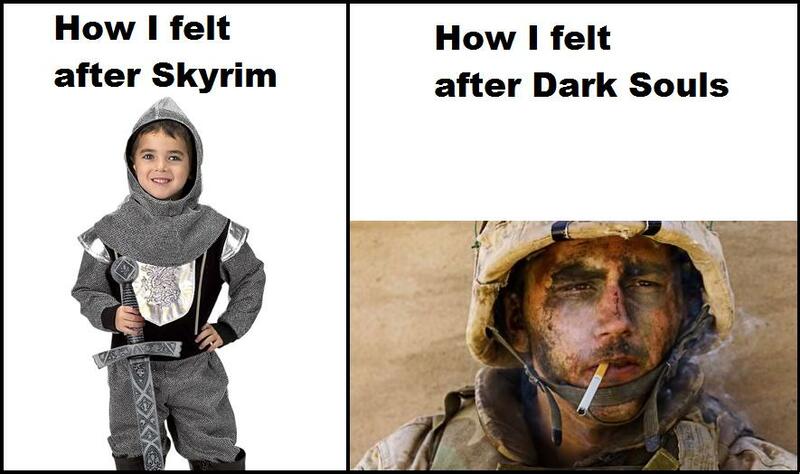 Here's a funny image comparing Elder Scrolls: Skyrim to Dark Souls. 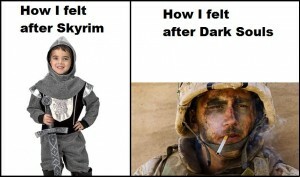 It really is a different sense of accomplishment haha! Click to enlarge!